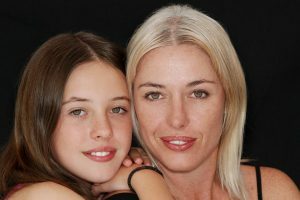 To many parents (and people – teachers, doctors, etc) teenagers are creatures to be regarded with some degree of caution. The horror stories of teens who dress all in black, paint their fingernails black and walk around with a sullen look on their faces is enough to send even the toughest parent scrambling for cover. We hear stories of teenagers who come home from school or work, head straight to their room where they turn up some awful racket that they call music and disconnect from the rest of the family. This does not have to happen; you can have a good relationship with your teen, even a fun one. If you have not done things to cultivate that relationship when they were younger, don’t worry. It is never too late to develop a relationship with you child. A good relationship does not mean that you are their buddy. It means that you can be their friend, their parent, their sage and their confidant. You can listen to their deepest, darkest secrets and still discipline them when they get out of line. But what you are likely to find is that when they feel that they can confide in you and trust you, that they do not want to disappoint you. You may notice that they tend to WANT to do what you ask. Whoa! A teenager who actually WANTS to do what an adult asks? It isn’t a magic formula, and the process is actually very simple, but the results are astounding. These ten tips will get you started. 2. Remain objective, don’t judge. Your kids are most likely not going to dress like you did when you were a teen, wear their hair like you , listen to the same music that you did and, what’s more, you will probably not like at least part of it. Your parents likely did not like the way you dressed, the way you wore your hair or your music. It is just the way the world works. Remain objective, though and don’t judge. When you start passing judgment on your kids or on their friends, you begin alienating them. Try to keep your objectivity at all times and see your kids as the individuals that they are. 3. Talk to them as if they are intelligent individuals. Talk to your children as if they are intelligent individuals. Don’t talk down to them. Ask their opinion on things. “Should we take Fido on our vacation with us or do you think he would be happier staying with grandma?” Make major purchases such as cars, homes and major appliances family decisions instead of just adult decisions. Encourage your children to offer input regarding family situations and ASK their opinion. When they give it to you, even if it sounds juvenile to you, don’t discount it, seriously consider it, ask questions and find the value in it. It is their opinion and input, there is always value in it. Do you know what metal core is? How about emo? Have you ever seen a poser? Do you know what a mosh pit is and have you ever seen anyone two step? (not the country two step). If not, then you need to brush up on your teen lingo. You can’t communicate with them if you don’t know the language. 5. Listen to their music. Again, it is difficult to communicate and connect with you child if you have such a disconnect that you don’t understand their world. Listen to their music, know the artists AND the genres. Who knows, you may even find some music that you actually like. What’s more, you can talk to your child on their level about their world. 6. Get a profile on their social network. Does your child have a profile on a social network such as MySpace or Facebook? If so, do YOU have a profile there? This is a great safety measure as well as a way to connect with your child. You can send bulletins, email and comments, share quizzes, read their profile and share videos. This is particularly good if you are having trouble making the face to face connection. These social networks are a good place to start. 7. Get to know their friends. This does not mean scrutinize your child’s friends because they have a Mohawk in liberty spikes. It means get to know the kid with the Mohawk in liberty spikes. Share information about yourself and ask them information. Act as if you are talking to an adult, not a kid you are “looking over.” Ask them about their favorite subject (it may be the same as yours when you were in school and that would be a great conversation opener.). Instead of asking the kid WHY he has his hair in liberty spikes (or the Mohawk for that matter) ask him HOW he got them that way. Stay neutral and don’t put them on the defensive. 8. Talk to them, no, REALLY talk. Talk to your child about the things that interest them. If you have learned the language, listened to the music, listen well and have joined them on their social network, you should have plenty to talk about. Don’t say things or ask questions that cause the child to have to defend himself or herself or anything about them such as friends, music and clothing. Then again, if you don’t like something, it is OK to say that you don’t really like it. But do it in a way that is non threatening and non judgmental. Let your child know that they have an opinion and so do you. There will be times when your opinions differ, but it is OK.
9. Keep an open door policy. Let your child know that they can come to you at any time to talk about anything. This is important for developing and maintaining a good parent/teen relationship. When they come to you with something, stop and take the time to listen to them, talk to them and connect with them. If you want any relationship to work, it requires time, energy and effort. The relationship between a child and parent does not automatically occur, it must be cultivated. In order to cultivate it properly, your child must feel that they can come to you at any time for anything. 10. Spend time with them – on their terms. Spend time with your child, but not on your terms, on theirs. If they like concerts, go with them. Have a family movie night and let your children choose the movies that you watch. You can have one night where a child chooses the movie and another night where an adult chooses the movie. Or, each family can take a turn to choose. The important thing is to meet them on their level, on their terms. This will show that you are taking an interest in them, their lives and their world. And that will mean the world to them. Char at the weary parent passed along a post that led me here. As a frequent writer about adolescence, parenting and middle school the topic of building and sustaining a relationship throughout the adolescent and teen years is of high interest to my readership. I would love to (plan to) share your ideas. Remaining objective really gets at the heart of a solid relationship with your child. At a time when most kids are looking for independence and an identity the objectiveness a parent can provide really makes a difference. Thanks for sharing these ideas. I look forward to reading more.